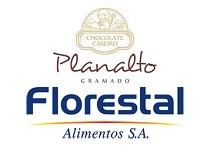 Brazilian confectionery maker Florestal Alimentos has announced the acquisition of chocolate firm Chocolates Planalto. Florestal Alimentos and Chocolates Planalto are both base in the Rio Grande do Sul state in southern Brazil, but whilst Florestal Alimentos is specialised in sugar confectionery, Chocolates Planalto is focused solely in artisanal chocolate. The deal will enable Florestal Alimentos to enlarge its portfolio beyond its current 420-strong product range and move into more artisanal products. According to sources, one of the company’s first plans after the acquisition is to develop a network of franchises. Florestal Alimentos distributes its products in Brazil and also exports to more than 80 countries around the world.